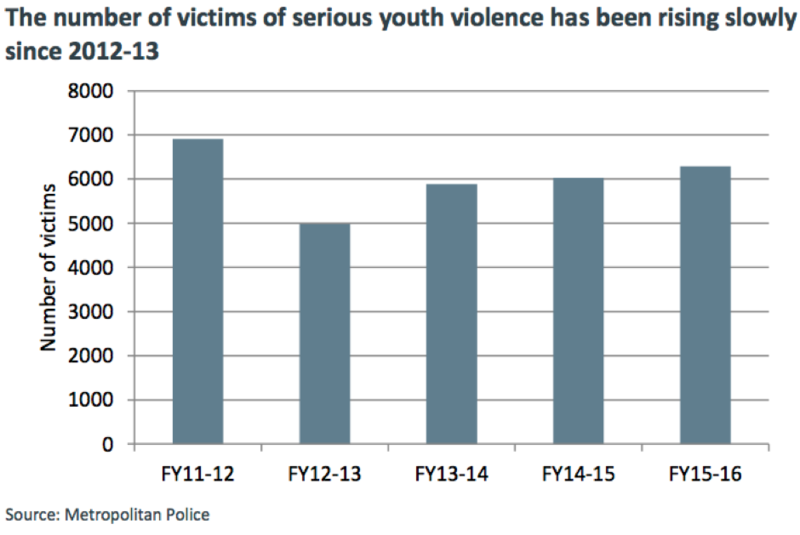 On the 21st September 2016, the London Assembly Police and Crime Committee released a report to examine serious youth violence within Greater London. The report was put together using evidence given to the committee in July 2016 by Redthread, The Metropolitan Police, Westminster City Council’s Integrated Gangs Unit and the Chair of the Restorative Justice Council Board of Trustees. One of the main findings of the report is that the number of victims of serious youth violence has risen by 4% in London since 2014-15. Our youth work teams see around 50 young people who have been assaulted each month at each London major trauma centre. The report includes several possible causes for the rise, with one of them being the greater awareness and reporting of domestic violence. An example of this, described in the report, is Redthread’s use of Independent Domestic Violence Advocates (IDVAs) within the major trauma centres. John Poyton, Redthread CEO said, “[IDVAs help] to start to pick up some more of those young women that were otherwise probably slipping through the net”. But there is still more work to do – women now account for 24% of victims of serious youth violence, up by 47% since 2011-12. As well as domestic violence, crime involving weapons are also featured in the report. There has been a reduction in knife crime overall, but it remains an important issue as it accounts for around 50% of all serious youth violence cases. Redthread’s role in this report caught the interest of multiple news outlets. John Poyton, CEO, was interviewed by London Live and BBC London about Redthread’s evidence.